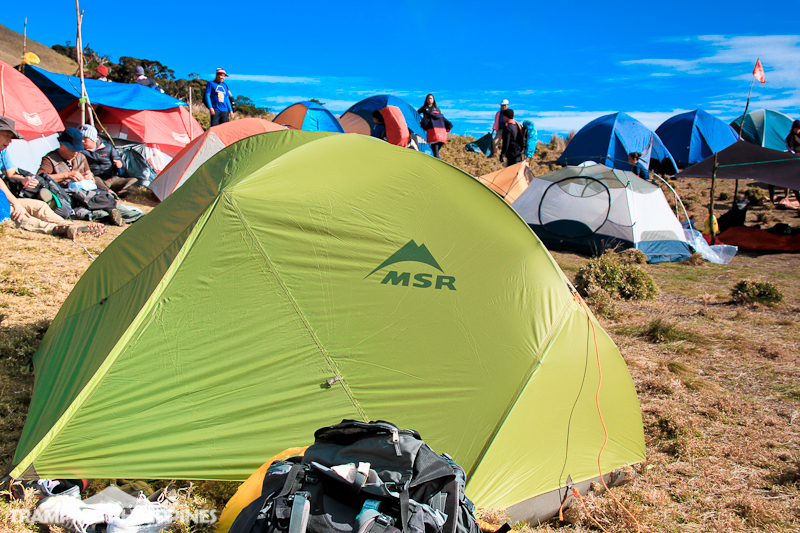 A hefty price of 15,000 to 17,000 PhP may render a climber think that buying an MSR Hubba-hubba tent would be ridiculously extravagant. Is it really worth all that money? With a resounding answer, I would always shout the word “YES”, followed by the phrase “It is very much worth it”. This article will show you why. First and foremost, let’s talk about the weight. 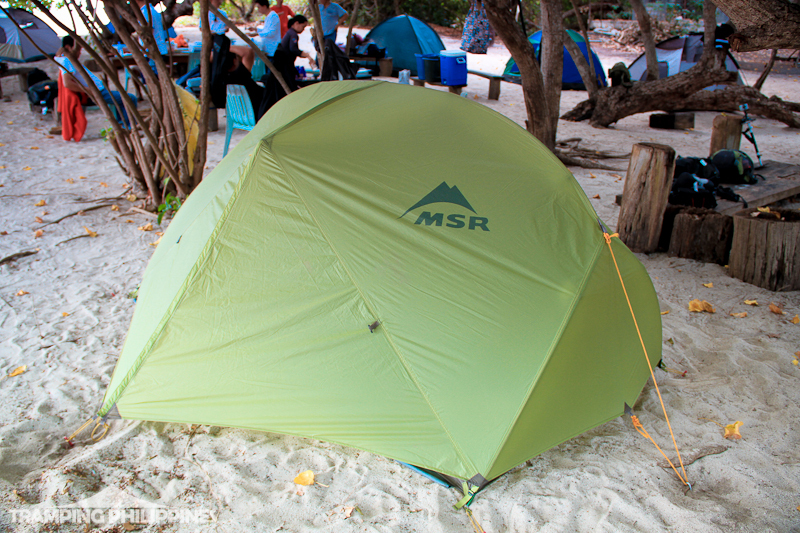 According to Cascade designs (Distributor), the whole tent when packed weighs about 4 lbs./1.9 kgs. Yes, they say that it is only a 2-person tent but living in a country where people above 5’9” is considered tall, this tent will comfortably fit 3 normal sized Filipinos. Let’s assume that 3 of you will be sharing the tent, most probably you’ll be dividing it into 3. That’s only about 0.63 kgs of weight for each. For a climber, trekking a mountain in a span of 3 or more days, this weight reduction will definitely give a huge allowance for extra lift. Secondly, it has a very tight and reliable rain proofing. Our tent encountered a battering storm atop the highest mountain in the country. While other abodes were leaking and drenched, ours was dry up to the end of the expedition. Even when our groundsheet was washed by the pool of water seeped by the soil, still, we didn’t feel any moisture or dripping from inside the tent. The mesh body may become a problem when the cold and almost freezing temperature comes at the campsite but all the same, I will always pick a cold but dry tent over a dripping one. If you would say that the drenching experienced by others was just because of wrong way of pitching, please think again. The storm we experienced atop Mt. Apo was one of a kind: it was like a typhoon with thunders erupting every 3 seconds at minimum accompanied by strong gale pushing us back and forth. Almost all the tents of the other groups were victimized by the downpour and gale; but our Hubba Hubba kept us dry and comfortable. An added advantage is the easy-to-stand structure of the poles. It may cause a bit of confusion on first try but when you get used to it, you can pitch it easily by yourself in only a matter of minutes. Also, the tent poles and pegs where manufactured by DAC, one of the most trusted makers of poles all over the world. The interior of the tent is much bigger than what it looks outside. This is made possible by the pole structure: the side of the tent offers a 90 degree angled wall instead of the usual inclining body of a dome type. 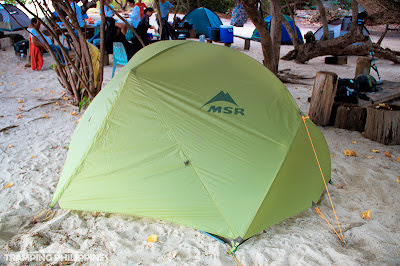 The first time I entered our newly bought MSR, I was amazed. I wasn’t expecting such huge room as I was used to fit inside a small 2-person tadpole. It can even fit multiple bags as the tent has 2 well-sized vestibules. I can proudly say that it is big if you compare it to the overall weight of the whole package. 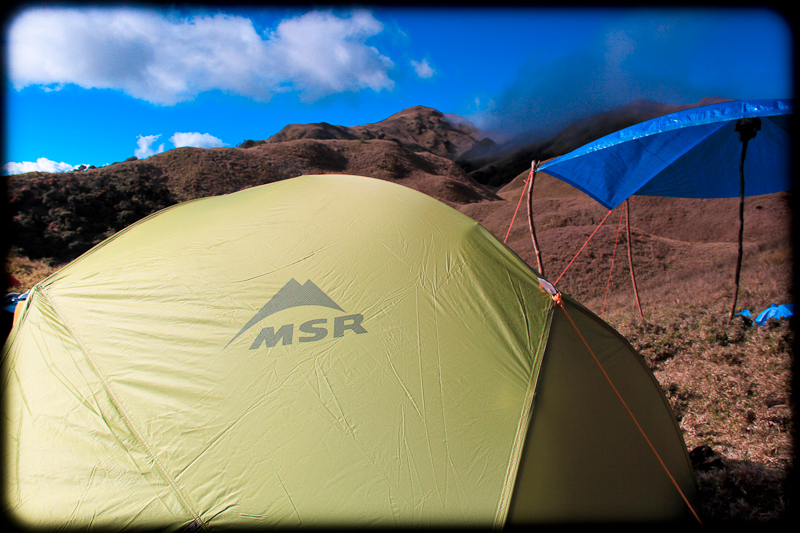 Last but not the least; MSR has one of the best customer services a company could offer. 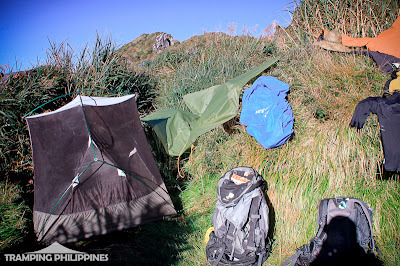 I’ll tell you the story of fellow mountaineer/blogger, Kaiz Belga. She and her boyfriend bought the same type of tent years ago. 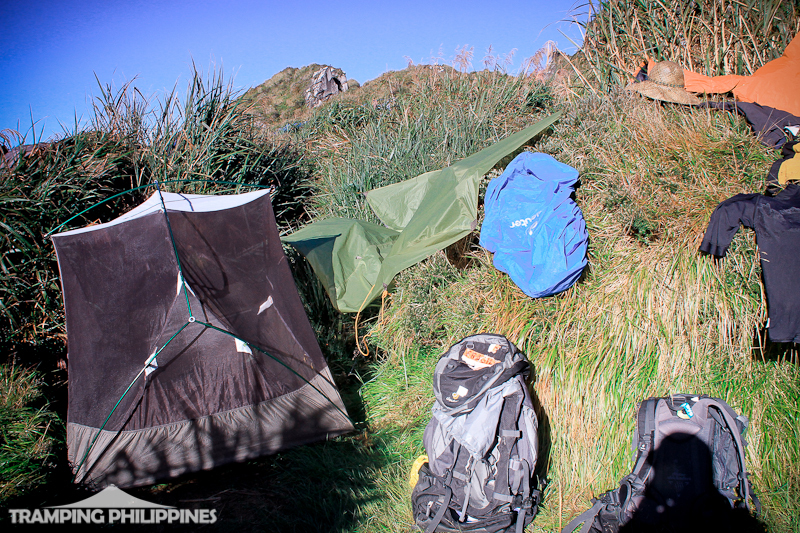 They used it for every hike they did until the time where the fly sheet of the tent was rendered unusable. 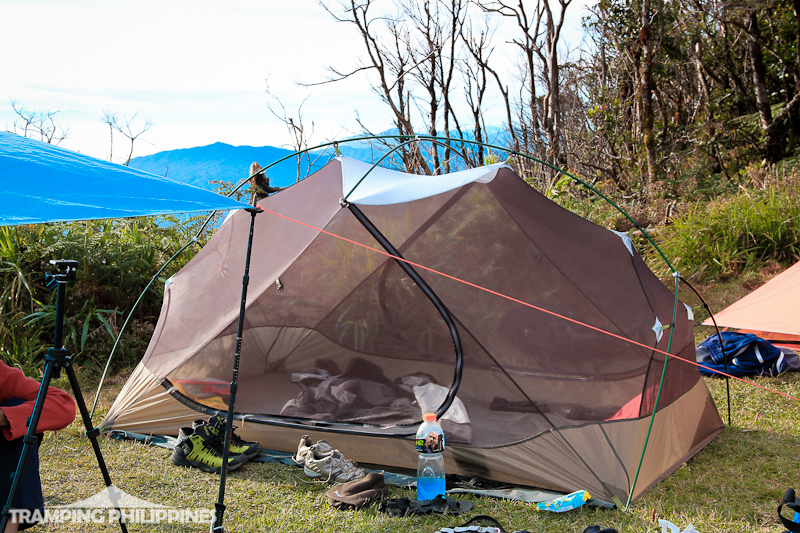 Not knowing where to buy a replacement, they emailed Cascade designs to ask where they could buy only the rain fly for the hubba hubba, as the body of the tent was still in good condition. They were simply asked to send in their used and dilapidated rain fly so it can be replaced by a new one free of charge. Talk about customer service! You can scour the internet for other stories concerning how MSR responds to their buyers and you’ll see multiple persons having the same story of their product being replaced by a new one free of charge. So is it worth it? In my humble opinion, yes, it most certainly is worth it. It may hurt your pocket once you decide to buy it but I’m confident that it will be a good investment for a person, who for the coming years ahead, sees mountain climbing and traveling as a part of himself/herself. Times Used: Approx 10 mountains and beaches. I will never trade my Hubba-Hubba for any other, regardless if it's cheaper or more expensive, tent! Love, love, love! hi maam/sir. 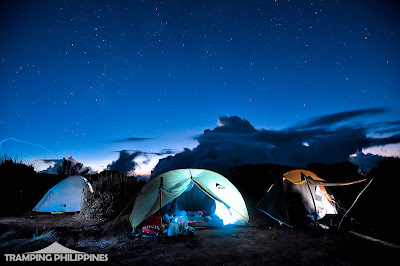 ask ko lng po kung my ksama ng foot print/ground sheet ung 17k tska kung my accessory na gear shed available. thanks! 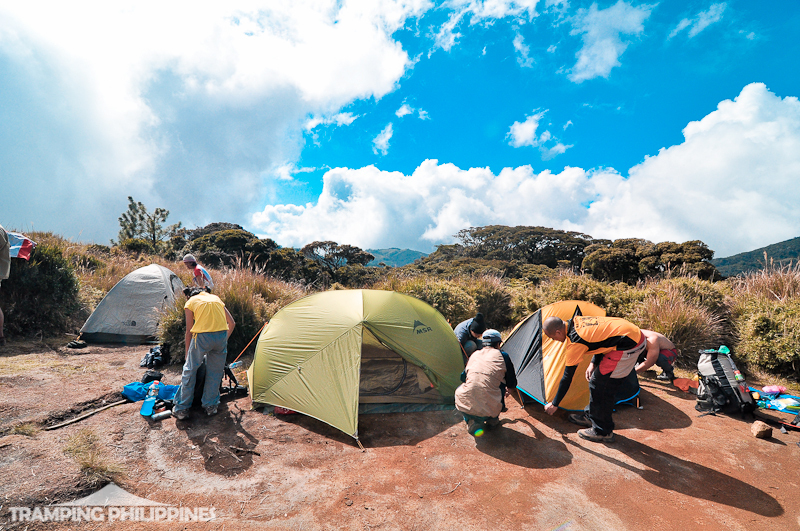 Hindi kasama ang foot print / ground sheet. 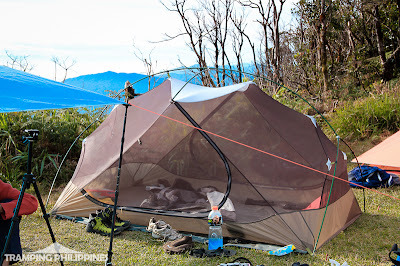 Bale ang kasama is ung tent body, flysheet, pole and pegs. I'm not familiar with the gear shed term. hehe. parang accessory po sya maam. extension for extra space interesado po kasi ako sa hubba. thanks sa reply maam.have a nice day. ah ok. Nope hindi sha kasama sa 17k dito na binebenta. Yung basic set lang ang kasama. wala din ground sheet. 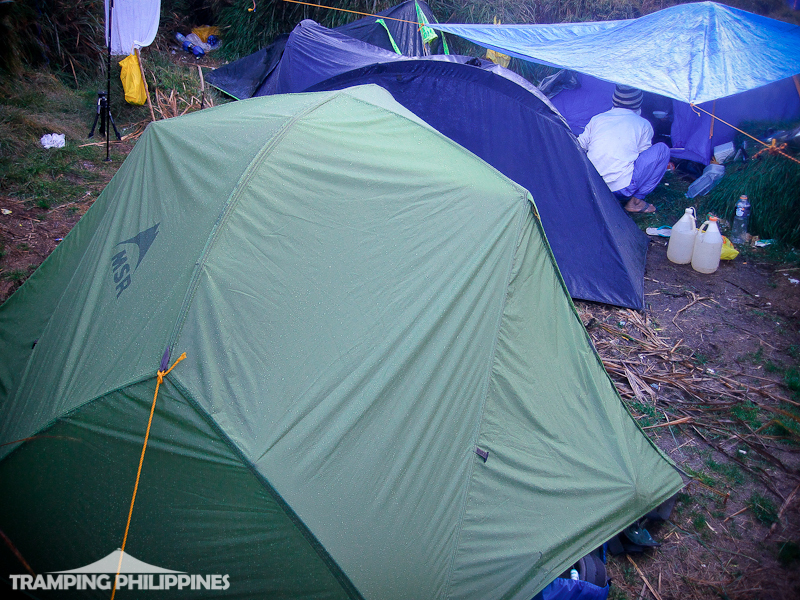 i really would like to know sa-an mo binili ang tent?? 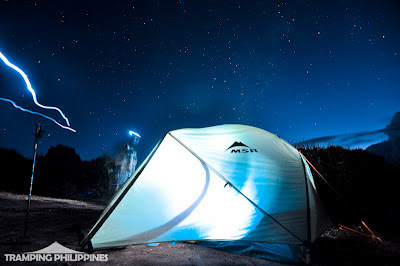 Where could I buy an MSR tent here in the Philippines?